Here’s a fun idea that has both of my daughters written all over it. 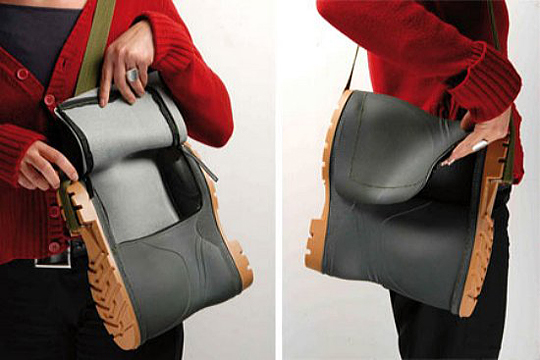 Footbag, designed by Italian designer Marco Scuderi, repurposes pairs of old rubber boots into elegant and sturdy shoulder bags. I would imagine this could really take off after the current rain boot craze subsides a bit in a year or two. So many possibilities with all the fun rain boots that are on the market these days. 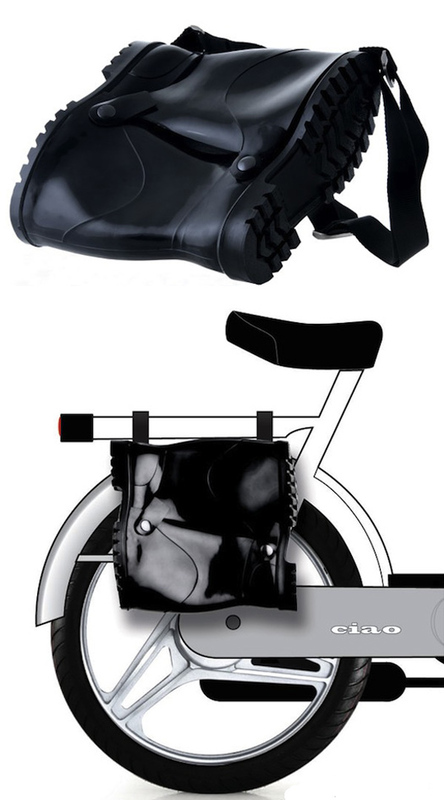 This entry was posted in Fashion, Fun, Industrial Design, Pop Culture, Stuff We Like. Bookmark the permalink.